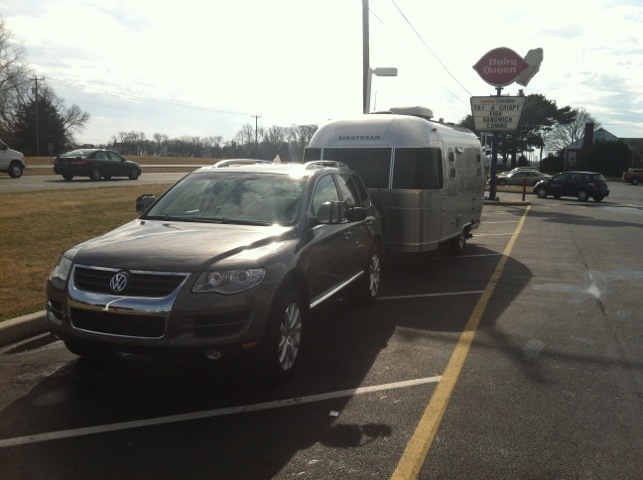 I picked up the newly-wired 2010 Touareg TDI (“Casper II”) and picked up the trailer for a long weekend in New Bern, NC. 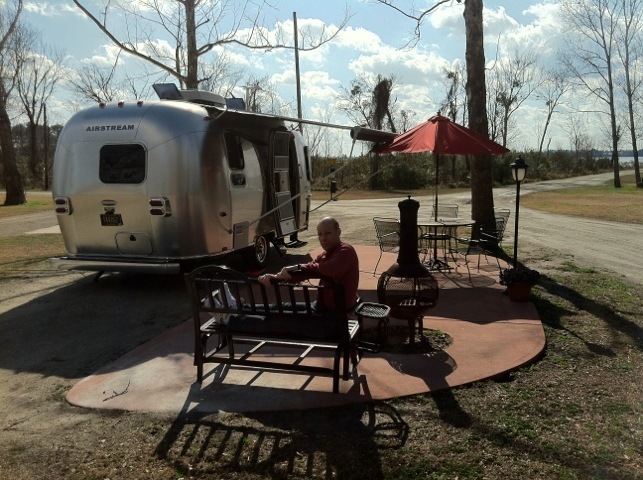 Our first long distance trip, and Glenn’s first overnight in “Apollo 19”. 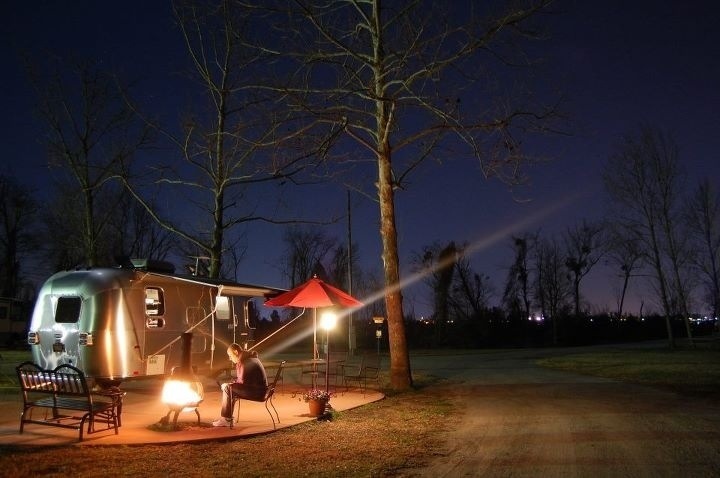 Casper II tows like a champ, and there was no drama towing the ~3,800lb trailer 400 miles. It’s a little harder to pull into tight parking lots. 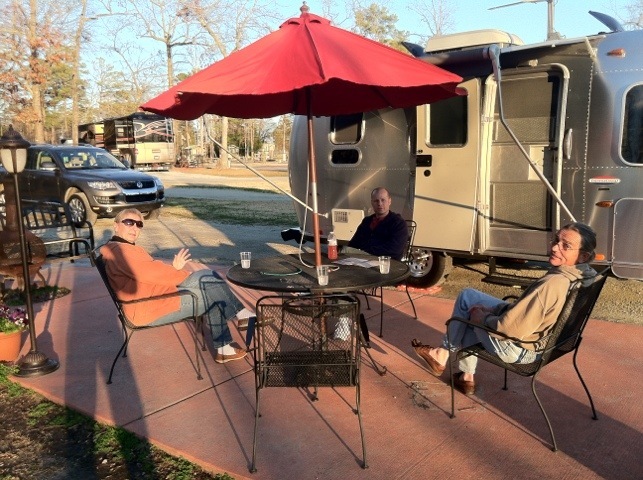 We ordered pizza in (delivered to our site at the New Bern, NC KOA) and invited Glenn’s aunt and uncle over. Later that night I set up the tripod for some night shots. It was nearly 70 degrees, after all. glad to see you’re rollin’… again…. So enjoy each time you two visit. Never feel like you are imposing because YOU ARE NOT!!!!!! We love it. Now you have a sleek car/trailer combination to have fun with. Looking really good! Confess to severe jealousy at the weather (70!) and the view, etc. So glad you were able to travel safely to and fro, and Apollo behaved. Confess I think Apollo would look a little spooky with those blacked out eyes right on my tail, but considering my daily driver, not too much. Glad this was a basically no prob trip. ← Please enjoy this photo Tribute to Casper, the Friendly SUV.